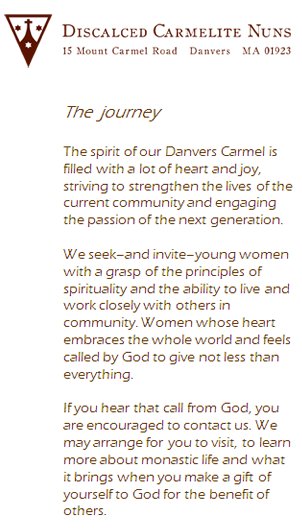 The spirit of our Danvers Carmel is filled with a lot of heart and joy, striving to strengthen the lives of the current community and engaging the passion of the next generation. We seek � and invite � young women with a grasp of the principles of spirituality and the ability to live and work closely with others in community. Women whose heart embraces the whole world and feels called by God to give not less than everything. If you hear that call from God, you are encouraged to contact us. 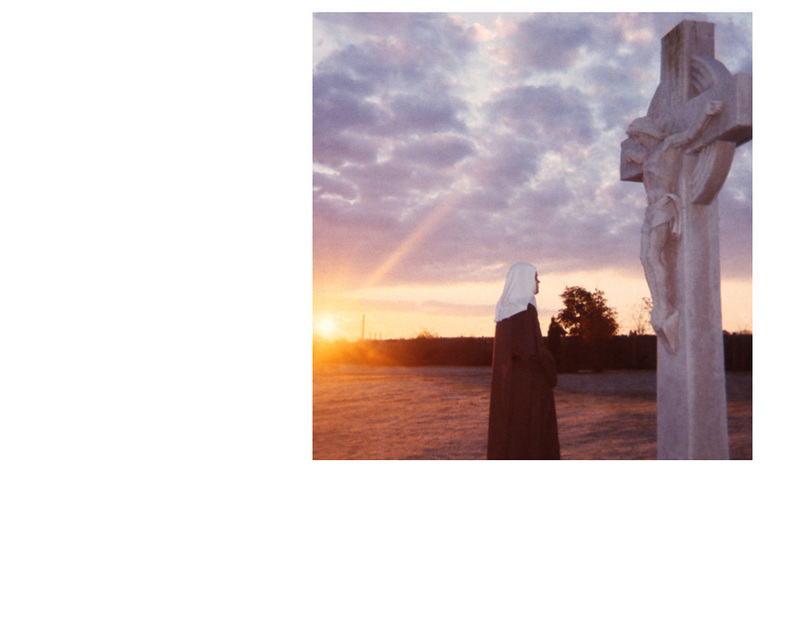 We may arrange for you to visit, to learn more about monastic life and what it brings when you make a gift of yourself to God for the benefit of others.